Item number 1774/9 from the MOA: University of British Columbia. 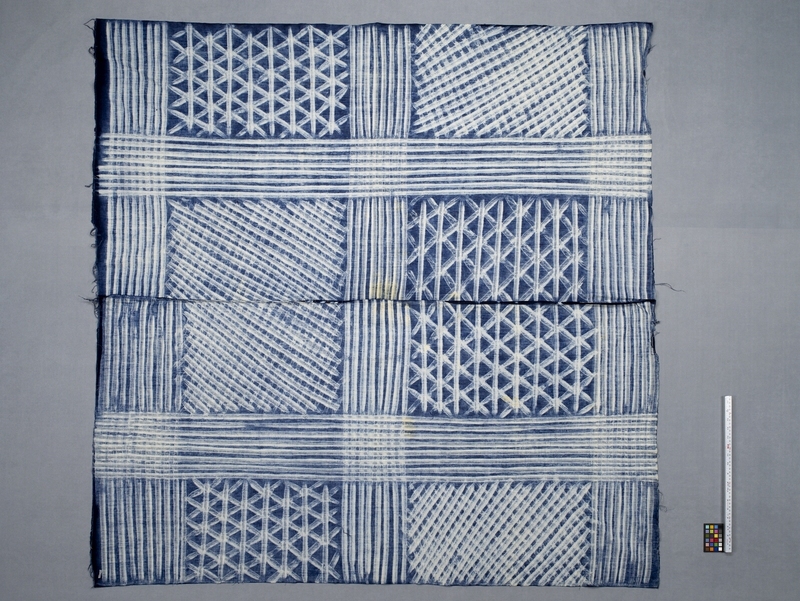 Adire cloth composed of two pieces of indigo resist-dyed cloth stitched along the centre. The surface is divided by two wide bands of stripes running parallel to the edge and bisected by two wide bands of white stripes running perpendicular to form rectangular spaces filled in with with light blue to white lines forming crosshatched patterns and alternating blue and light blue to white stripes. 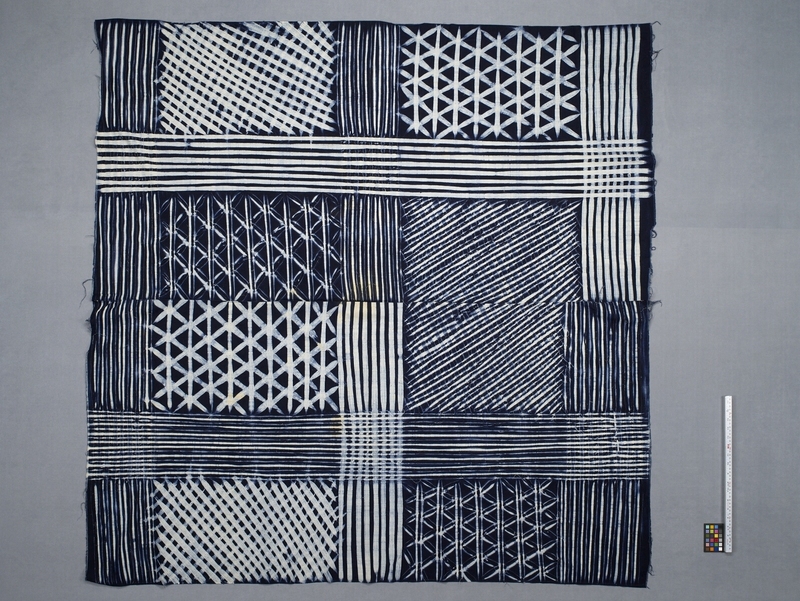 Rows of stitch holes are visible on the pattern lines. The ends perpendicular to the centre seam are unfinished.